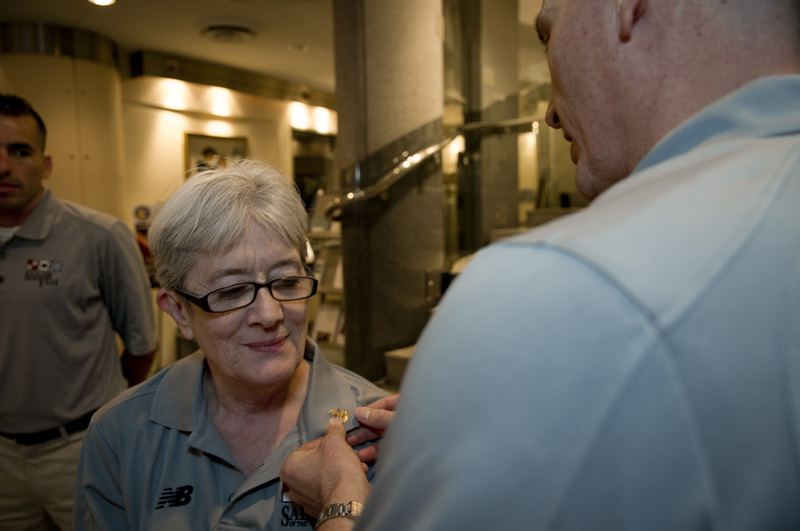 The goat locker just got a new member: Michele Cole, who has been fitting sailors with uniforms for more than a decade. Master Chief Petty Officer of the Navy (AW/NAC) Mike Stevens made Cole an honorary chief during a ceremony at the Navy Memorial in Washington, D.C, according to a post on MCPON’s Facebook page. 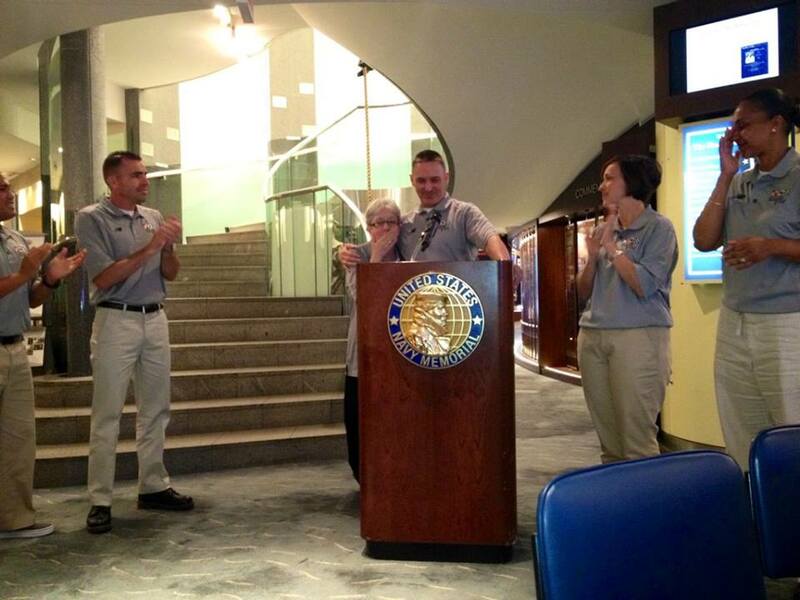 “Michelle’s complete dedication and devotion to our sailors is admirable. Thanks, Chief!” it said on Stevens’ Facebook post. Cole is the manager of the Navy Exchange Arlington Uniform Center at Joint Base Myer-Henderson Hall, Va., and has been fitting sailors in Virginia for 13 years. During that time, she has fitted Stevens, Chief of Naval Operations Adm. Jon Greenert, and other high-ranking officials passing through Washington to testify before Congress. However, rank doesn’t matter to her. Navy Times interviewed Cole in March about how sailors can make sure to look sharp in their Navy working uniform. During the interview, Cole said she goes above and beyond to make sure every sailor looks his best whether he’s a seaman or an admiral. Wow! What sort of desk jockey DC denizen thinks this is a good idea? Whichever Admiral is pleased with her service can buy her a plaque. However, this is a slap in the face of millions of PO1’s who retire as PO1’s because their rating was over manned. Nonsensical crap like this makes me re-think the whole MCPON idea. DC has enough useless politicians.